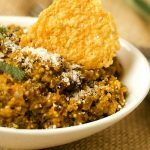 Pumpkin Quinoa Risotto is creamy, rich and delicious. 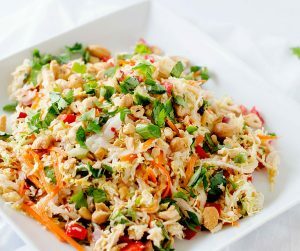 It makes a great fall side dish or vegetarian main course. This is a Sponsored post written by me on behalf of LIBBY’S Pumpkin for SocialSpark. All opinions are 100% mine. I can’t remember when I’ve enjoyed a project as much as I’ve enjoyed working with Libby’s Pumpkin to bring you summer pumpkin recipes. In case you missed them there was this Quinoa Salad with Spicy Pumpkin Vinaigrette, these Pumpkin Quinoa Breakfast Cookies and these Pumpkin Quinoa Patties. Like a lot of you, I’ve always thought about Pumpkin as a fall thing. In fact, until now I’m not sure I ever cooked with it any other time of year. It has been so fun experimenting with way’s to use pumpkin that weren’t tied to traditionally fall dishes. Each time I feel like I learn something about how pumpkin can be used to reduce fat, calories and generally improve the overall nutrition of a dish. Based on the number of you who took the time to respond on Facebook on about what the next Pumpkin dish should be, I’m guessing I’ve convinced a lot of you that pumpkin is a year around food! Though today’s Risotto won out, those of you who voted for the breakfast dish have my word that I will do that one in the future! I’m also adding all of the other suggestions to my to make list. I’ve got to say, this one of my all time favorite quinoa recipes. I made the mistake of taking a bite straight from the pot before photographing it. And then another bite…and then it took all the self control I could muster to stop myself so that you weren’t looking a photos of an empty dish. It’s that good. I used a 15 ounce can of pumpkin and froze the rest. My plans were to use it to try some of the ideas below, but I’m thinking this is going to be on the menu again really soon. 2 Since this is the last in the series with pumpkin, I thought I’d leave you with some more pumpkin inspiration to keep you going. Since this is the last in the series with pumpkin, I thought I’d leave you with some more pumpkin inspiration to keep you going. 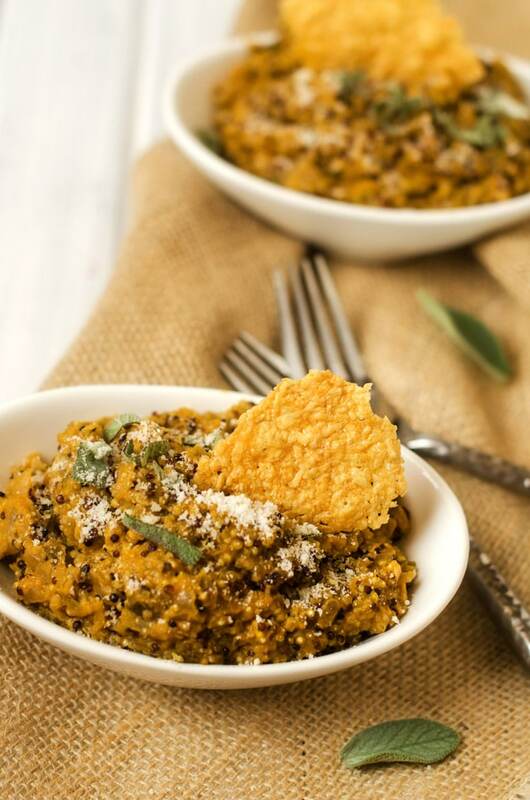 Stir Pumpkin into your oatmeal or quinoa breakfast! Top it with a drizzle of maple syrup and some walnuts. Speaking of breakfast, Pumpkin Pancakes are to die for! Take it a step further and make Pumpkin Chocolate Chip Pancakes. Pumpkin Bread…it’s not just for fall. Same goes for Pumpkin Muffins. I’m thinking Pumpkin Walnut Muffins. Add it to a creamy pasta recipe in place of half of the cream. You’ll reduce the fat and add great flavor. 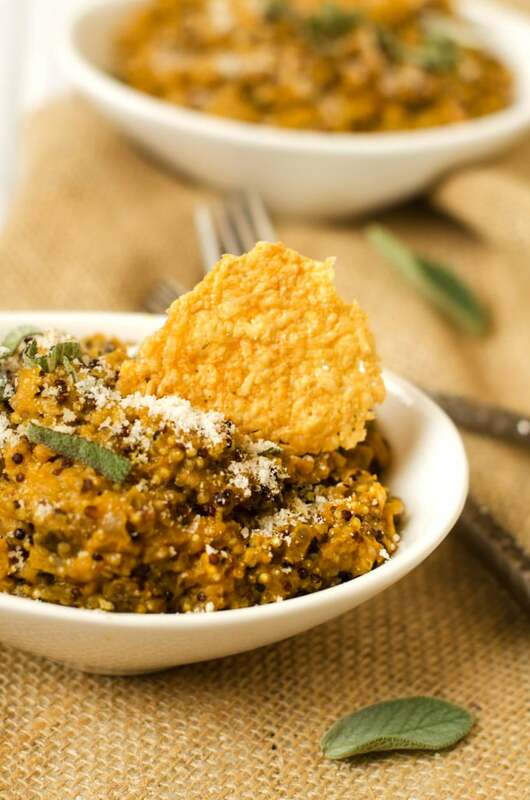 Quinoa Angel Hair with Pumpkin Sauce, anyone? Go all sneaky chef and add pumpkin to your kids Quesadillas for added nutrition. I like to mix it in with refried beans. If you are joining in the Quesadilla action, try adding a finely chopped chipotle chile and a teaspoon of adobo sauce into your pumpkin. YUM! Pumpkin Cupcakes. Yes, I had to go there. And let’s not forget a Pumpkin Parfait! Step beyond Pumpkin Pie with a refrigerated Pumpkin Cream Pie. Think of it as Pumpkin Pie for summer! And why not add Pumpkin to your homemade vanilla ice cream for Pumpkin Pie Ice Cream? How about a Pumpkin Smoothie? Add it to your omelet. (Don’t knock it until you try it). Add Pumpkin to your mashed potatoes. Or mashed cauliflower if potatoes aren’t your thing. How about twice baked sweet potatoes with pumpkin? Pumpkin Hummus. The perfect snack. Showing my southern roods with the suggestion of Pumpkin Grits. Add pumpkin to chocolate chip cookies in place of a portion of the fat. Do the same thing with brownies. I leave you with two words. Pumpkin Doughnuts. Place broth in a small saucepan and heat to medium low. In a medium saucepan, heat olive oil to medium. Add onion and sage and cook for 10 minutes, until the onion has softened. Add garlic and quinoa and cook for 3 more minutes, stirring often. Add wine, sea salt, pepper and chili powder. Cook unit the wine has absorbed and add enough vegetable broth to cover. Continue stirring frequently and adding broth until all but 1/2 cup of the broth has been added. Add last 1/2 cup of broth, pumpkin puree and goat cheese. Cook until heated through, about 4 minutes. 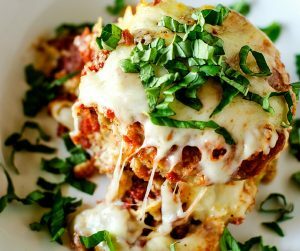 Transfer to serving dishes and garnish with parmesan cheese. I seriously think this is the best pumpkin recipe I’ve seen! 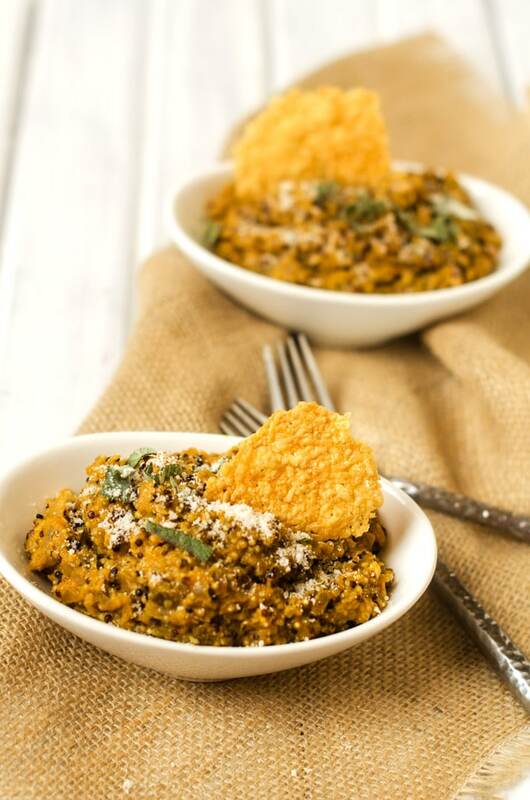 I think pumpkin quinoa risotto is going to be my dinner tonight, pinning! What a delicious way to use pumpkin!